The AIMS team in cooperation is pleased to announce the webinar “Under-representation of local needs in the global south in mainstream bibliographic databases. The case of rice research”. It will present the current research on this topic of Ismael Rafols, Tommaso Ciarli and Diego Chavarro from the Polytechnic University of Valencia and the University of Sussex. It is open for researchers, information management specialists, librarians, software developers and other interested people. 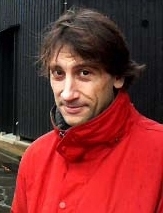 Ismael Rafols is a science and technology policy analyst at Ingenio (CSIC-UPV), a visiting fellow at SPRU (Univ. Sussex) (where he was from 2004 to 2012), and a research associate at the OST (HCERES, Paris). He works on the assessment of science and technology, studying both how research is evaluated and how evaluations may influence science and technology. Ismael is interested in opening up new perspectives for visualising diverse scientific contributions, in particular those which tend to be neglected by conventional quantitative assessment. For this purpose, he developes methods to map and measure interdisciplinary research, knowledge exchange and societal contributions of science (the so-called "impact" agenda). In particular, He is working on visualisations that help interrogate the research landscapes or portfolios of grand challenges such as bird flu or obesity, or the knowledge base of funding agencies and organisations such as universities or pharmaceutical firms. He received an MSc in Science and Technology Policy from SPRU (Sussex, 2006), a BSc in Physics from the Univ. Barcelona (1993), a PhD in biophysics from Tohoku University (Sendai, Japan, 2001) and a postdoctoral in nanobiotechnology at Cornell University. In between academic positions, he has worked on international cooperation in Oxfam (1994) and the City Council of Barcelona (2003-04). All publications of Ismael Rafols are available via green open access as shown in Google Scholar's profile. Full CV.